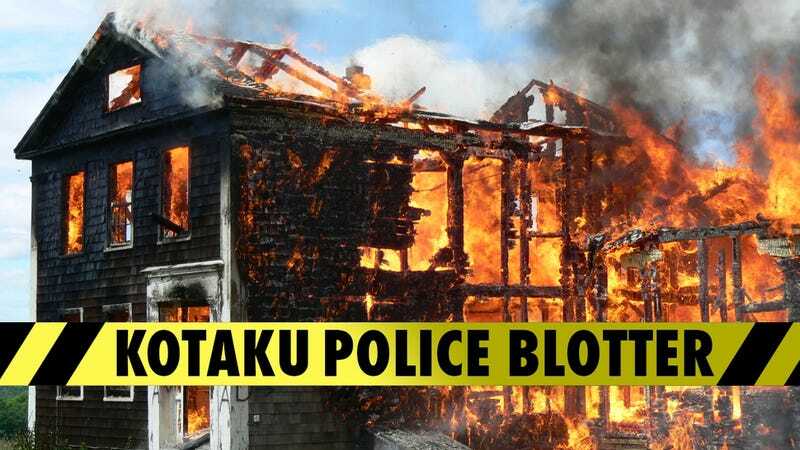 OLATHE, Kansas—A man fled his burning home early Friday morning but re-entered it to rescue his games console, according to a local news report. The Xbox, whose identity (original, 360, or Xbox One) could not be confirmed, was apparently unharmed. Meadow Lane, 9:51 p.m. Tuesday A female worried a 13-year-old would become violent if she took away the teen's Xbox sought advice from police. HOUSTON—Police say a 45-year-old father, upset that his son was sent home with a bad behavior report from school, destroyed the boy's "Nintendo console" with a wrench and then threw pieces of the debris at him. The attack earned the father charges of injury to a child. A report by KTRK-TV of Houston said Paul Newman (no relation, because he's dead) also dragged the boy by his shirt and hit him in the face "with open and closed fists." Teachers discovered the injuries at school and notified police. Newman is said to have admitted the assault; he was released on a $5,000 bond. PORT ST. LUCIE, Fla.—A teenager looking to sell or trade his PlayStation 3 was dragged more than 1,000 by a car driven by three others accused of robbing him, reports WPEC-TV of Florida. The unnamed seller, who is 16, placed an ad on Facebook to sell the console back in September. The victim received a reply from someone willing to trade an iPhone for the console. The buyer arrived by car with another person driving and a third person aboard; when the victim tried to inspect the iPhone, one of the occupants snatched it back and told the driver to flee. The car drove off with the victim hanging inside of the car's rear window. The victim was dragged 1,000 feet; an arrest was made only recently as police finally discovered the real identity of the purported buyer, Christopher Alexis, 20. Two 19-year-old friends with him in the car also were charged as accomplices.